A unique new media multi-cultural approach to humane education - animals are visualized through art, literature, architecture and more, paying homage to the masters, with interviews from a wide range of disciplines exploring the environmental relevance and cultural significance of preserving animals and sustaining their environments for future generations. 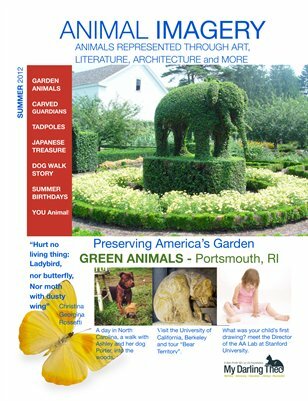 Animal Imagery is published by My Darling Theo Foundation a registered 501 ( c ) 3 non-profit organization. All proceeds from the sale of Animal Imagery provide program support of My Darling Theo. Become a member and receive a complementary subscription to Animal Imagery!